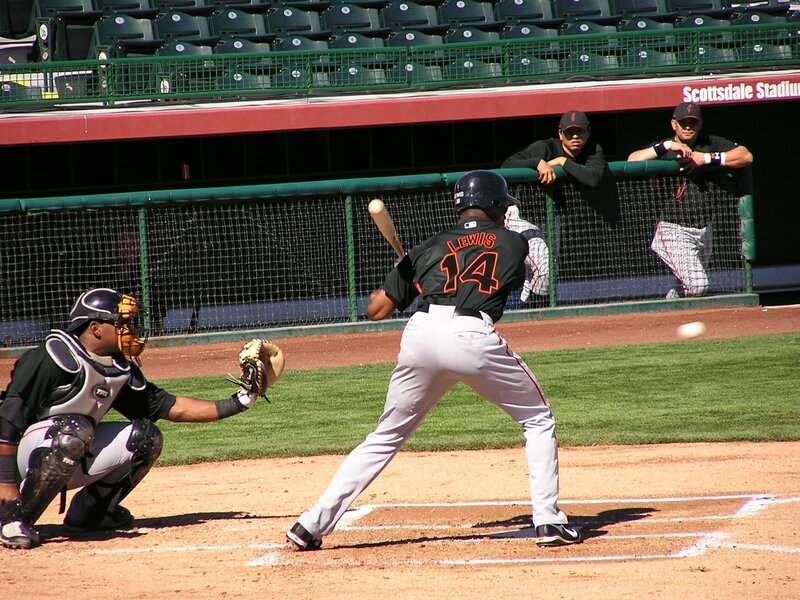 GF9 of Giants Jottings shoots Fred Lewis batting and Nate Schierholtz in a baserunning drill. These are two of the guys with MLB credentials who have some uncertainty about starting the season in the bigs. If he clobbers spring training pitching and maybe if there's another injury, Nate could make the big club.